We all focus on saving more money, but it’s tough to get in the hang of frugal living. And our reasons for wanting to live cheaper may be many. You may want to save more each month for an emergency fund, or you might want to focus on getting out of debt. And when we think about getting ahead financially, at first, we think about cutting cable, riding our bike, eating out, etc. But there are plenty of other ideas out there! 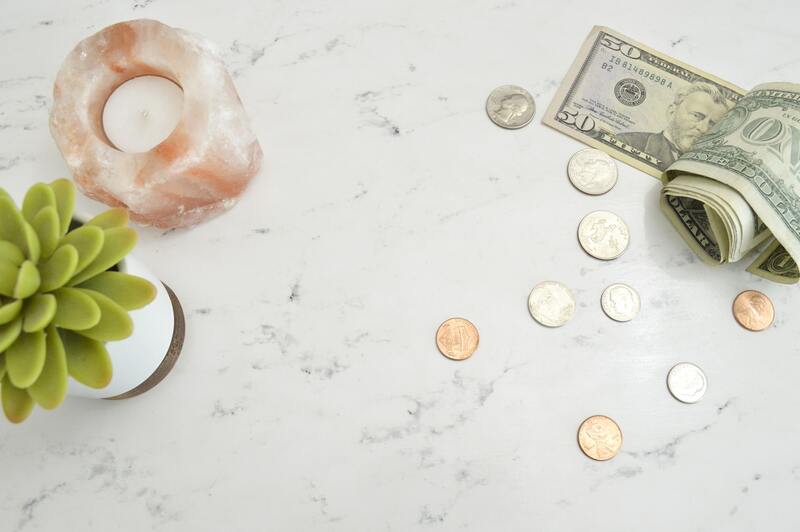 And if you want to save more money, then definitely check out these easy frugal living tips and let me know what you think! Before relying on a brick-and-mortar store, you should definitely check out Amazon first. It’s a great way to make sure you’re getting your money’s worth. Stores tend to mark up items, but there are plenty of sellers online offering the same product for so much less. If you want some frugal meal ideas, then definitely head to sites like Budget Bytes where you’ll find things like affordable slow cooker recipes and so much more! Just because you are a two person family doesn’t mean you need two different vehicles. Using one car can save you a ton. So for example, you can save on gas, maintenance, insurance, and so much more. Get flyers from around three different stores to see who has the best deals for what you need. Once you find exactly what you need in each store, you can plan your grocery shopping between the stores accordingly. If you buy in bulk, you can save more. Also, you won’t have to run out for the same item as often (saving you even more money and time). Do you get stunned every month when you see your mobile bill? Then, it’s time to try out all those texting apps like Whatsapp. You can call and text people through apps like Skype or Whatsapp for free which will reduce your mobile bills. Nowadays, people hardly ever use landlines. They love to stick to their smartphone. So just simply cut out your landline and use your cell phone only. It’ll automatically save money each month. If you don’t need your printer, then why not sell it? And I know what you might be thinking, “But then how can I print my work out?” If allowed, you can use your workplace printer to save money (plus you don’t have to buy more printer paper or new ink cartridges). It’s true! If you keep your home clean, you can save a lot. If your home is clean, then you can figure out what you have and what you don’t need (so no buying more of what you already have). Also you can donate and sell items to declutter your home. Growing food is not a hard task, and you don’t need expensive tools either. Just a fork and a shovel are enough. And if you don’t have room for a small garden, try to grow herbs in your kitchen. It’s a great money saving technique. There are so many ways you can make more money online. Sites like Fiverr, Upwork, or Freelancer, are full of different work opportunities. All you have to do is choose your desired field and let people know why you are the best choice for them. You can start earning more just by doing this. Visit Playstore and you’ll get tons of apps which will help you achieve your fitness goals. Try to think of it from a financial perspective. If you do regular exercises at home, you can easily maintain your health and save money. Now if you have any questions about these frugal living tips, let me know in the comments down below! I’d love to help you out!